Every child loves Halloween. It’s always a fun time to go out in costume and get treats. If they are lucky they are bound to take home a bag full of candy. That is always good for the kids, but bad for their dental health. Taking care of children’s dental health can already be a challenge for some without the constant temptation of sweets. Too much candy should always be a huge no-no. Candies and other sugary foods and drinks can lead to cavities. In reality it is not the sugars that directly cause the cavities, but bacteria that thrives on sugar and produces acid that destroy the teeth. 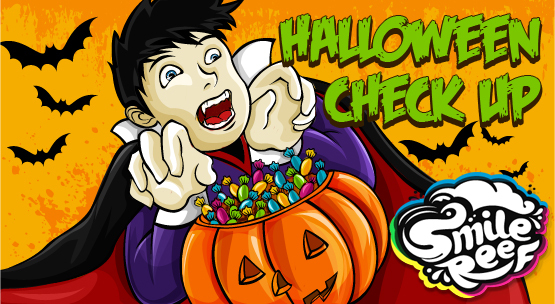 It would be hard-pressed to keep children totally away from candy, but parents can monitor and limit it as much as possible. Candy is a part of a fun childhood as long as they are enjoyed in moderation. Minimizing children’s intake of sugary foods and drinks can help to avoid the occurrence of cavities, but more importantly parents can teach children the right habits to ensure their dental health. Regular brushing and proper brushing techniques are the most important thing to remove the bacteria that cause plaque. Parents can teach them the habit of brushing teeth at least three times a day and help little children, especially those below eight, how to do it right. Children are never too young to start flossing, too. It is good for cleaning the spots where brushing is not effective and, if done before brushing, allows for toothpaste fluoride to penetrate between the teeth. Lastly, taking children to a pediatric dentist for regular checkups can help fight the battle against cavities. 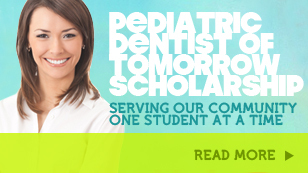 A pedodontist can teach proper dental care and detect, treat and avoid any dental problem as early as possible. Regular brushing, flossing and visits to a children’s dentist can become a habit and a lifelong protection. With these habits, children, as well their parents, can enjoy sugary treats on Halloween and anytime of the year. Remember, the fun need not be sacrificed as long as moderation and proper care is taken. With that said, have fun “trick or treat”-ing!